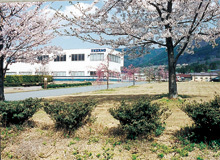 Nippon Thermo Co., Ltd., a specialized maker of circuit protectors and thermostats, manufactures products using an integrated production system. This system includes research and development of products, manufacturing of molds and dies, press working, mold casting, processing of critical parts, and assembling and finishing of products. We deliver high-quality products to our customers under our own brand. Our factory have received an "Eco-action 21" certificate for being certified and registered as plants operated using an environmentally conscious management system. The factory is also registered with Sony as "Environment-quality Certified Factory" under its "Green Partner" system for our commitment to quality and the environment. All of our products have received certification with the major global standards of UL, CSA, and TUV (EN). 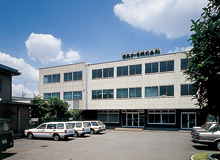 Nippon Thermo supplies its products to more than 600 customers. These products are used for computers (from super computers to servers), digital broadcasting equipment (transmitters and studio equipment), power control systems, power generators, medical equipment, communication equipment, solar generators, UPS equipment, other power equipment, traffic control and radio equipment, signals and ticket-vending machines, and more. You can find some of the products we offer in our catalogs and on our website. If you would like further information about any of our products, please contact us.